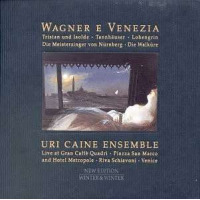 Ten years ago pianist Uri Caine unveiled Urlicht/Primal Light (Winter & Winter, 1997), his first foray fusing electro-acoustic jazz improvisation with the structural intricacies of the Western Classical canon. Caine's take on Mahler was audaciously brilliant, and it laid the ground work for subsequent projects exploring the work of Bach, Beethoven, Schumann and Wagner. 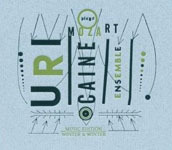 Plays Mozart is Caine's latest effort in this fertile milieu, as well as one of his most enjoyable. This is a reunion of sorts: the members of Caine's ensemble have all played with him before in one or more of these projects, with the notable exception of electric guitarist Nguyen Le. A newcomer to Caine's eclectic methodology, Le's Hendrixian playing adds just the right amount of sizzle to these interpretations, often bolstered by the propulsive heft of Jim Black's irrepressible trap set ruminations. 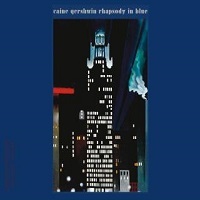 Arranged around three solo piano sonatas that act as bookends and an intermission of sorts, the album unfolds gradually, moving eclectically from mood to mood. Reinterpreting Mozart's lyrical jubilance with visceral energy, the ensemble injects a dose of contemporary excitement to these lionized themes without ever reducing their familiar tunefulness to trivial redundancy. In the hands of these improvisers, the antiquated becomes modernistic. Caine is by turns ruminative or animated at the piano, supported authoritatively by Joyce Hammann's neo-classical violin. Ralph Alessi's trumpet elicits clarion pronouncements while Chris Speed veers from dulcet, woody tones to ardent intensity on clarinet. DJ Olive's contributions are as subtle and atmospheric as Drew Gress' bass foundation is stalwart and formidable. Jim Black's rock-inflected percussive tattoos drive guitarist Nguyen Le into stratospheric territory, providing the album's most energetic surprises. Caine's prevailing conceptual conceit with material like this has been the commonality found between genres often segregated by cultural prejudice. Working in klezmer and Dixieland variations, as well as free jazz, psychedelic rock and even subtle electronica, Caine can seem mighty irreverent to the old guard. But he also contributes pieces of unflagging beauty and tenderness, proving his point that all forms (from the sacred to the profane) can exist on the same plane, if only one allows them. Track Listing: Piano Sonata in C Major (first movement); Symphony 40 in G Minor (first movement); Symphony 41 in C Major (second movement); Clarinet Quintet in A Major (fourth movement); Piano Sonata in C Major (second movement); Sinfonia Concertante in Eb Major (third movement; "Batti, Batti O Bel Masetto" aria from "Don Giovanni"; "Bei Mannern, Welche Liebe Fuhlen" duet and "Der Holle Rache Kocht in Meinem Herzen" aria from "Die Zauberflote"; Turkish Rondo from Piano Sonata in A Major; Piano Sonata in C Major (third movement). 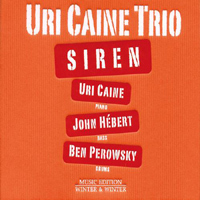 Personnel: Uri Caine: piano; Joyce Hammann: violin; Chris Speed: clarinet; Ralph Alessi: trumpet; Nguyen Le: electric guitar; DJ Olive: turntables; Drew Gress: double bass; Jim Black: drums.